A collaborative project by Tim J. Veling, David Cook and the students and teachers of Freeville School, New Brighton, Christchurch. The images above constitute a representitive selection of work from the project. In 2013, the Ministry of Education announced that Freeville School was to merge with North New Brighton and Central New Brighton Schools. In 2016, the Freeville site was abandoned and buildings and facilities – situated on land sold to the Ministry of Education by the Free family for the purpose of building an education facility – were scheduled to be demolished soon after. At the time, the future for the land itself was uncertain. It was especially ambiguous if allowance was to be made for the school’s surrounding community to contribute ideas to inform the redevelopment. Within that ambiguous space this project aimed to collaborate with remaining students and staff of Freeville School and help them re-imagine and articulate their own vision for the land’s future. 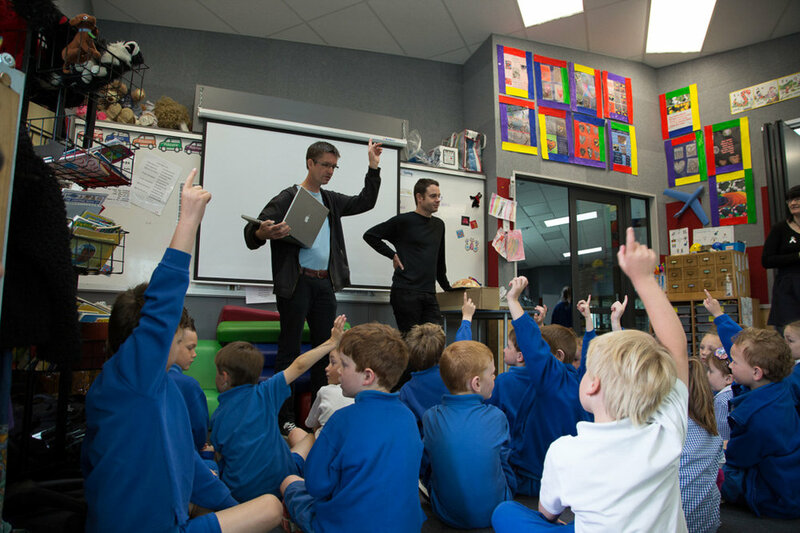 In November 2013 Tim J. Veling and David Cook spent a week with two classrooms at Freeville, taking photographs and running creative workshops. 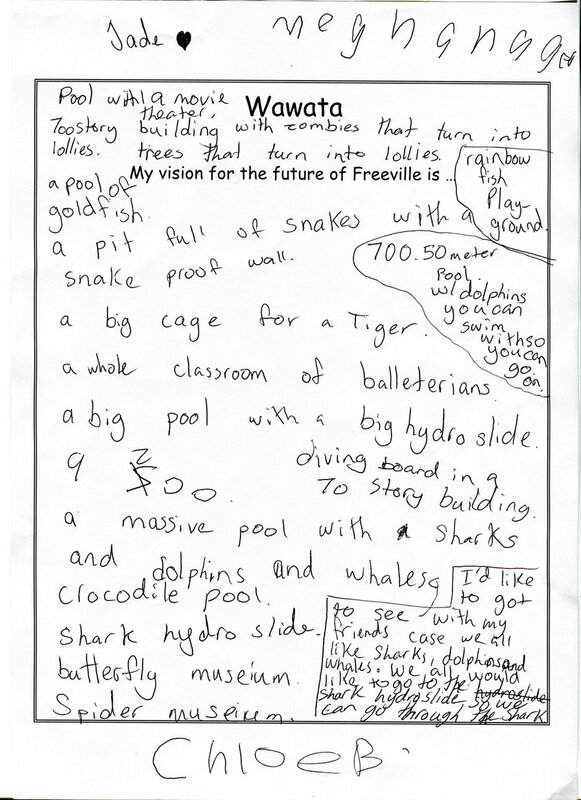 Rather than dwell on the nostalgia of loss, they asked the children to imagine the future of their school grounds. They responded, in writing and artwork, by expressing their colourful, humorous, sometimes wacky but genuinely innovative ideas. As the children completed their work, we progressively pasted their pictures and text to the walls of the New Brighton Mall. At the end of the week, the school proudly launched their billboard-sized project. The public display happened to coincide with the Christchurch East by-election and candidates from all parties descended on the mall and stopped to take it in. Standing in front of the children's words and pictures, they couldn't help but understand that this community has a loud voice that must be heard. The Freeville Project was also exhibited at RAMP Gallery, WINTEC School of Media Arts, between the 5th of June and 27th of June, 2014.